Are You Thinking of Living in Wellesley, MA? A conversation with Traci Shulkin, realtor at Benoit Mizner Simon & Co., located in Wellesley and Weston, MA. 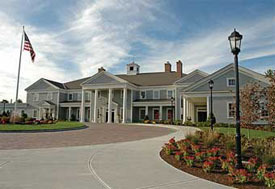 Are you looking for a town that perfectly combines old New England charm with the sophistication of the City of Boston? If so, Wellesley may be the ideal fit. 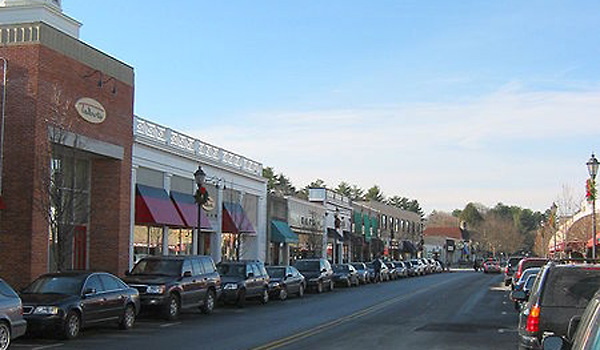 The town of Wellesley covers approximately 10.2 square miles with a population of approximately 27,000. Growing up in a neighboring town of Wellesley, I spent many days after school in Wellesley Center going shopping, eating and hanging out (for lack of a better word). You can actually spend your whole day in the town of Wellesley doing your shopping, grabbing your Starbucks for your morning caffeine fix, going on hikes and going to the grocery stores. The town has its share of national “staples” like Starbucks, Whole Foods, Pinkberry, National Jean Company and GAP, but also has the local specialty shops and restaurants like Hudson, Paper & Presents, Wasik’s Cheese Shop and Blue Ginger. In the 1630s, Wellesley began its days as part of a larger town called Dedham. The instant pride of the community within the town caused the settlers to name the area “Contentment.” Even though the name did not stick and was eventually changed several times (Dedham, Needham, West Needham and finally Wellesley), there was always a feeling of commitment and pride in this area of town…a truly content place to live. The commute to Boston was as much a factor in Wellesley’s early years as it is today due to the need of the farmers to bring their produce down to Faneuil Hall Market in Boston. Life in Wellesley changed with the construction of the railroad in the 1830‘s. The railroad was the catalyst to attract the Boston businessmen to Wellesley, helping to modernize this once quiet farm town. There were many important people that helped change the face of Wellesley, but at the same time continued the traditions of this cherished community. Henry Durant helped to put Wellesley on the map nationally when he established Wellesley College, a college for Women. And by 1881, Durant and other powerful businessmen joined together to finally divide their precious town from Needham. On April 6, 1881, this bustling town adopted the name of “Wellesley.” Wellesley has always been a town of innovation, from the railroad stations to the building of the first golf course in Massachusetts, from its playgrounds to being the first to adopt zoning laws in America. It is these zoning laws that provided structure for the planning of the beautiful town. Wellesley gained international recognition when resident Katharine L. Bates wrote “America the Beautiful” in 1893. What is amazing about Wellesley is the ability of this old New England town to continually adapt to the ever-changing times and always remain on the forefront–keeping the town “modern” without losing its charm and history. Wellesley residents tend to be young professionals, entrepreneurs and families. A number of Boston’s professional athletes have chosen Wellesley as their home. The town is known for its incredible neighborhoods with sidewalks and has primary schools that are located in the heart of town so people can walk to school. At the same time, if privacy is what you are looking for, there are plenty of places to live in Wellesley that can accommodate this desire. According to eNeighborhoods, Wellesley ranks in the 99th percentile for Average Income Households with Children, and approximately 70% of the residents are under the age of 50. When considering the Boston area for your primary residence, be sure to take a tour of Wellesley and you will undoubtedly see the pride the residents hold for their town. Every year, residents of Boston anxiously wait to see where their town is going to rank on Boston Magazine’s list of Best High Schools. 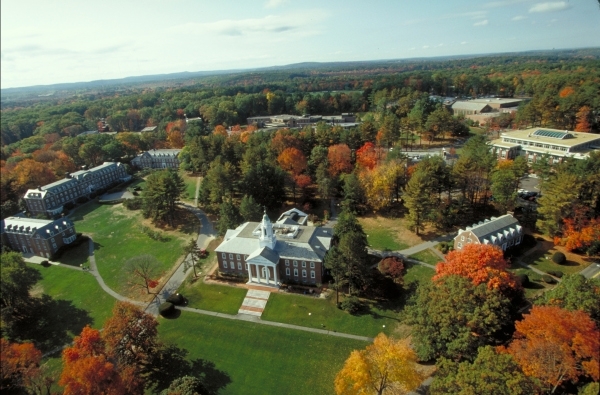 Wellesley was ranked #11 and #4 in 2011 and 2010, respectively, on this prestigious list. Obviously, lists like this have a large amount of “subjectivity” to them, but every town wants to be in the top 20. The magazine also stated that Wellesley boasts a 96.9% graduation rate from high school. The residents of Wellesley put education as one of the highest priorities. Approximately 81% of the adult population has a college degree. Currently, Wellesley spends about $14,000 per student, ranking in the 87th percentile nationally. Wellesley has seven elementary schools, one middle school and one high school. The Elementary Schools consist of grades K-5 with many of the schools located within the neighborhoods. Grades 6-8 are located at the middle school and Grade 9-12 are located at the high school. With a new high school to be unveiled in 2012, the town of Wellesley is bursting with excitement to be at the forefront once again in terms of architecture and technological innovations. With the weak economy (and consumer confidence being so low), it is a wonderful time for first time buyers to find their perfect home. There is flexibility in pricing. With winter fast approaching in New England, now is the perfect time to take a look at the current homes on the market. Wellesley has been hit by the struggling economy, but not to the same degree as some of the surrounding towns. Homes still seem to be moving in the lower and higher price points. Much of Wellesley was built in the 1920’s and 1930’s, so there are some beautiful old colonials that have been updated over time or just have good bones and are ripe for renovation. Wellesley has a variety of price points for everyone, from buyers just trying to get into the town to current residents ready to make the next price jump. Some of the other expensive towns around Wellesley do not have this large range in prices, causing their real estate to not fare as well in this tough economy. Add to this the fact that the government plans on keeping interest rates low for an “extended period,” now is a very good time for buyers to find a home. I have had the opportunity to deal with all types of buyers: Buyers willing to stretch, buyers that are more conservative, buyers looking for privacy, buyers looking for neighborhoods, good schools, new construction and on and on. Before beginning your search, I always recommend that my first time buyers meet with a mortgage professional. It is never fun to go out and find your dream home and then realize that you can’t afford it or you will have to eat Ramen noodles everyday for the next 10 years. You can look online at homes and different towns and talk to people about schools, but it is really in your best interest to first have a solid understanding of what you can afford. Once you have that number and feel comfortable with it, then it is time to begin your search. I also think it is important for potential buyers to take a tour of the town before narrowing down their desired locations. Friends or colleagues will advise that you “must live in this section,” but you may be surprised by some other area that really catches your eye. So go with your realtor and do some exploring. Another thing that I tell my buyers is to not rule anything out. You may not like a Cape style home and only want to purchase a Colonial, but there are always other factors…such as Location, Location, Location. You may end up liking a certain neighborhood or area of town and will sacrifice the style of the house to get there. Even when someone builds a house, there are always compromises that have to be made. So be sure to go out there with an open mind and you will find that perfect house for you. The Real Estate industry is extremely dependent on marketing and getting the right exposure. This is even truer in times like these, where the bubble has burst and houses are no longer flying off the market the way they used to. Realtors have to find new ways to market their properties to obtain the right exposure in hopes of finding the perfect buyer. At Benoit Mizner Simon & Co., we now use QR codes on all of our print ads and on our individual website signs. 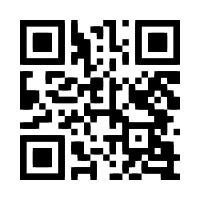 QR code stands for Quick Response Code and it’s a two-dimensional matrix barcode that is readable by smartphones with cameras and by scanning this they can go directly to my blog. The QR codes have become very popular with the younger generation. I also now have my own application on iTunes so potential buyers and sellers can reach me with a click of a button after they download it. Facebook, Twitter, blogs, and LinkedIn are all necessary to be at the top of your game in the real estate world. Companies are moving away from print ads in major newspapers and advertising on the important websites instead. For the Boston area, Realtor.com, Trulia.com, Boston.com, Zillow.com, local papers and company websites are becoming increasingly important and the primary way to advertise. Realtors have to make social media a priority and need to continue to stay on the cutting edge of marketing. When thinking about doing work on your house (such as a major renovation), it is extremely important to do your research. You may ask, what does she mean by that? I wrote a post this year titled “The Upgrade Dilemma: Remodel, Renovate or Sell?” It is a tough question to answer, but with a little research the answer will come. When owners approach me about doing a major renovation on their house, they want to get reassurance that they are making the right decision. I tell them that before they start any kind of major renovation, they need to take a look at the homes currently on the market since there could be one that meets their needs for less than their current house plus the cost of improvements (maybe even in a better location). You never know until you look and with the ability to view homes on the internet, it is now a really quick process. You should also take a look at what recently sold in your neighborhood or a comparable neighborhood. This step is important to determine if you are “over-improving” your home for the value in the neighborhood. Does your neighborhood all have laminate countertops or have they upgraded to granite or marble in the kitchen and baths? Does it make sense to add on another bedroom and a downstairs playroom or are most of the homes in your neighborhood being sold as teardowns? It is important at this step to talk to a knowledgeable Realtor in your area to gain an understanding of value. Now, if you love your house–plan to stay there for awhile and don’t mind over-improving it–then go for the renovation. It is all about what makes the most sense for you. A good tip that I tell all my sellers is to make the extra effort to go to the open houses in your neighborhood. It is not just about being the nosy neighbor. It is very important to know the updates and differences between the two homes, so when the “sold” sign goes up and you find out the price, you will have a better idea of what your house is worth. Whether you are planning on putting your house on the market or not, it is always a good idea to know what is going on in your neighborhood. Customer Service is the foundation of my business. In real estate, it is so important to listen to your buyers and sellers and truly understand their needs. I make it my business to put my clients first and work hard to negotiate a deal that exceeds their expectations. I work primarily in Wellesley, Weston, and Needham, Massachusetts. All three towns offer highly competitive school systems, strong communities and easy commutes to Boston (surrounded by several major routes). Of course, each town has its own unique qualities and each are actually very different, but all three have so much to offer a future buyer. Educating myself about these towns is so important to me and my career. I take the extra steps to learn the rules (zoning, permitting, etc.) in each town. It is important to me to have the right answers for my clients and if I don’t have the answer, I will hunt it down. Working at Benoit Mizner Simon & Co. has been advantageous for my career and has been a huge benefit to my clients. The advertising and exposure given to each listing is second to none. I have made it my goal to be at the forefront of social media as it pertains to real estate. I have gone to conferences and routinely talked to specialists to ensure that I am using social media to the fullest when it comes to my clients. I started a blog about life in Weston and Wellesley, MA in 2010 and it received recognition as one of the “Top 25 Up and Coming Real Estate Blogs” by Masters in Real Estate. Take a look at my blog at www.LiveInWestonWellesleyMA.com. This entry was posted in Are You Thinking of Living In? and tagged dale robyn siegel, dale siegel, diaries of a mad mortgage broker, housing mortgage, mortgages, traci shulkin, wellesley, wellesley masschusetts. Bookmark the permalink.